Workers’ Compensation Lawyers in Sterling Heights, MI - The Law Offices of Charters, Tyler, Zack & Shearer, P. C.
Have you been injured on the job? If so, you may be entitled to Workers’ Compensation. Workers Compensation is a type of insurance granted to Michigan residents under the Workers’ Disability Compensation Act. This law protects injured employees from having to pay out of pocket for medical and rehabilitation costs incurred as a result of a workplace injury. Your Michigan employer is covered by this act when it has three or more employees and employs at least one of them for at least 35 hours for at least 13 weeks. 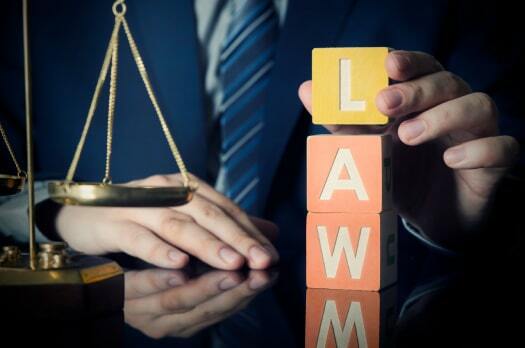 Unfortunately, current politics have made it extremely difficult for you to successfully obtain all of the benefits that you may be entitled to under the state’s Workers’ Compensation laws. Fortunately, the experienced Workers’ Compensation lawyers at The Law Offices of Charters, Tyler, Zack & Shearer P.C. have over 40 years of experience and are ready to assist you in handling your Workers’ Compensation case. Our Workers’ Compensation lawyers can ensure you are properly paid and receiving all your weekly benefits under the law. They can assist you with overwhelming matters such as exploring settlement possibilities, obtaining mileage reimbursement for doctor’s appointments, and obtaining doctors and nurse case managers. Our expert team can even help you get into a retraining program so you can quickly and easily return to work once you are ready. You don’t have to go through this harrowing process alone. Avoid navigating the confusing legal system by yourself and let our successful Workers’ Compensation lawyers assist you today. Don’t let your employer’s insurance company trick you out of wages and benefits that you need. Ensure you receive the maximum amount of benefits that the state’s Workers’ Compensation program owes you. Focus your time and energy on healing so you can return to the workforce, protect your assets and continue your happy and healthy career. The team at The Law Offices of Charters, Tyler, Zack & Shearer P.C., will handle matters such as hearings, reimbursements, benefits and more.